GIRLS I LEFT BEHIND II FLORENCE Flossie, how I used to kid you Just as regular as spring, When I used to say the lid you Wore was not a pretty thing! How my habit was to spoof you For affecting such a style That the gear that used to roof you Brought the wide satiric smile! How I hurled my mighty humor At your bonnets red and black! Little dreaming it a boomer- Ang to hit the slinger back. So, as we say here, O di mi! 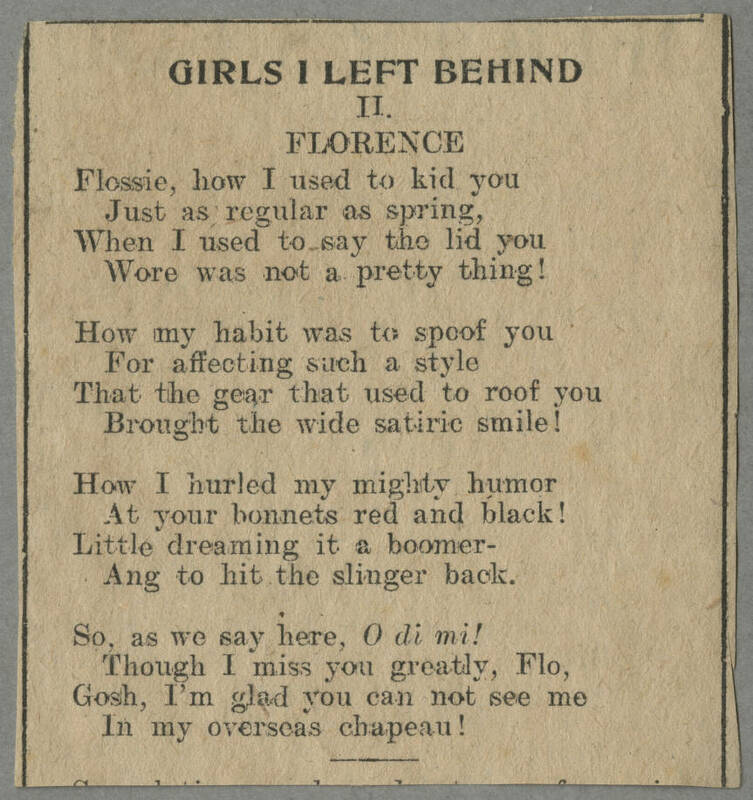 Though I miss you greatly, Flo, Gosh, I'm glad you can not see me In my overseas chapeau!